Throughout his historic career in electronic sound, Vidna Obmana has always created music dealing with the range of mood, being and emotion. From the emptiness and desolation of "Acqua" to the bittersweet meloncholy of "Mellow At Heart"; the strength and sureness of "Forest Arrow" and the contemplative introspection of "Float Through Nights", Vidna Obmana aptly conveyes his state of existence from the headings between these four points on the compass of feelings. 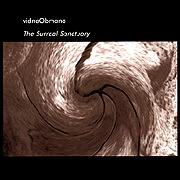 On the latest Vidna Obmana CD: The Surreal Sanctuary, he rolls out a remarkable new map, the kind used by adventurous travellers to move across stricken borders, through unusual terrain and down lost highways. Still present are the cerebral qualities of his past recordings, only now they are joined by a strong sense of place and movement in four dimensions. The pieces evolve slowly often fading one into the next. The album is smooth, a soundworld of shifting drones and deep timbres. The contemplative pacing of the dark harmonies is not meant to relax or reassure. Quite the opposite. The music on this album is meant to evoke a desolate, forboding place. As with any kind of travel to exotic lands, the emotions here stem from the uncertainty of the strange environment. Guiding us through this eerie land is Vidna Obmana. One can imagine him a few paces ahead, leading us through the landscape; with fog so dense we follow the mere sound of his overtone flute. 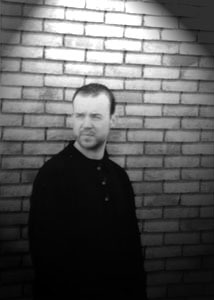 In addition to playing several varieties of Fujara, Vidna Obmana also utilizes: sampler, synthesizers, electric guitar, harmonica, feedback and studio processing devices as well as the collaborative efforts of Steve Roach on guitar, bassist Joris De Backer and the overtone singing of Jim Cole. When these sources are combined and shaped by Vidna Obmana, two noticable regions are created out of the seven lengthy tracks. Much like the soundtrack work of Howard Shore, Vidna Obmana's music on The Surreal Sanctuary deals with tension but no release (at least not until volume two). During the overture to any Cronenberg movie, Shore's music bestows upon us a sense that something singular is about to unfold, a story that will make us uneasy, an experience we need to brace against. It may be best to describe The Surreal Sanctuary in these kinds of terms... an experience you undergo, something descended into, a world that has slipped over us.